London Coffee Masters has revealed its 2017 competitors. Unfortunately, there will be no Aussie accents joining the 20 entrants at The London Coffee Festival this year, but the lineup is sure to fuel some intense rivalries across European counterparts. 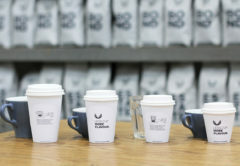 United Kingdom baristas will include Edgards Justa of Catalystm Prufrock and Vagabond, Jimmy Dimitrov of Clifton Coffee, James Wise of Hyde, Jaya Chingen of Climpson & Sons, Nikolas Georgiou of Slow Brew Club, Ewelina Kania of Prufock, Nick Maybe of Assembly Coffee, Sam Reed of Stir Coffee, James ‘Westy’ West of Union Hand-Roasted Coffee, Diana Johnston Ledezma of Taylor St Baristas, Brittany Gunther of Alchemy, and Phil Groves of Timberyard. In addition is Rie Hanao of Koppi in Sweden, Rob Clarijs of De Zeeuwse Branding and Stielman in The Netherlands, Vincenzo Bellone of Warren Allen cafes in Ireland, Wissem Ben Rahim of Ben Rahim Coffee in Germany, Franciska Apró of Espresso Embassy in Hungary, Ryan Garrick of Avenue Coffee Roasting Co in Scotland, Zdenek Hybl of Onesip in the Czech Republic, and Remy Molina of Cafe Barakah in Cost Rica. This year’s event will take place at The London Coffee Festival at the Old Truman Brewery from 6 – 9 April, 2017. Coffee Masters is a fast-paced, multi-disciplinary global barista tournament, taking place annually at The London and New York Coffee Festivals. 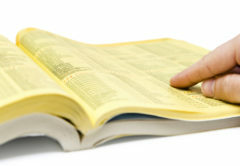 It features 20 contenders (four more than last year), seven disciplines and one winner. Entrants have the chance to join a prestigious line-up of world-class baristas and be in with the chance of taking home more than £5000 (more than A$8000) cash prize. 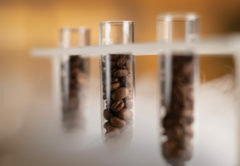 Following its launch last September at The New York Coffee Festival, Event Organisers have announced Latte Art Live will be a new feature to the London event. 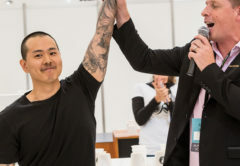 It aims to bring together the most talented Latte Artists from around the world for a four-day program of freestyle sessions, daily latte art throwdowns and highly engaging one-on-one workshops. To see the full line up and watch the signature drink videos, click here.